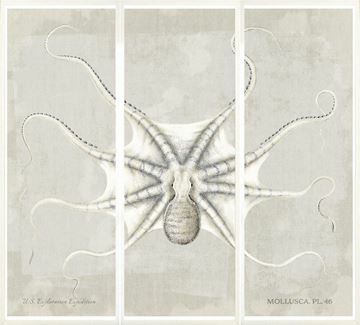 A triptych of vintage octopus etching plates. 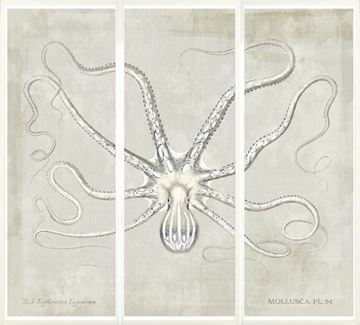 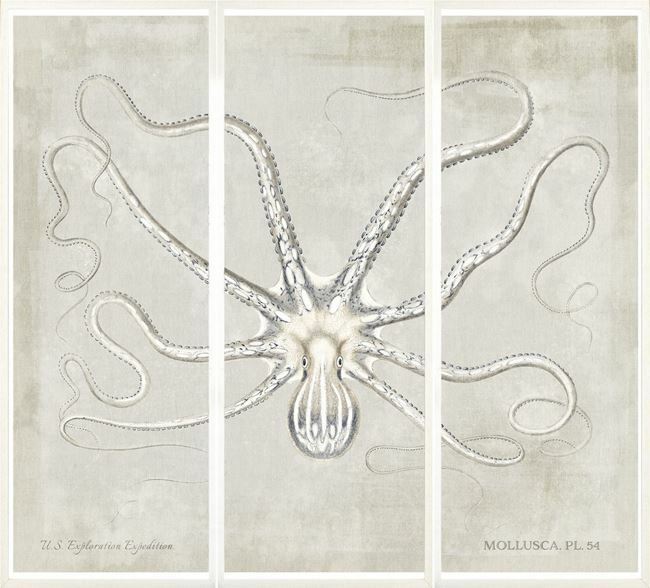 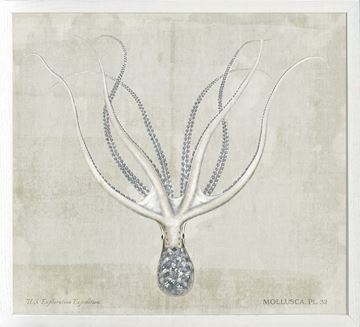 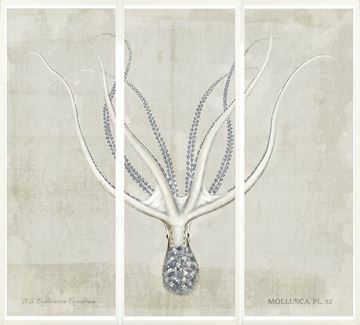 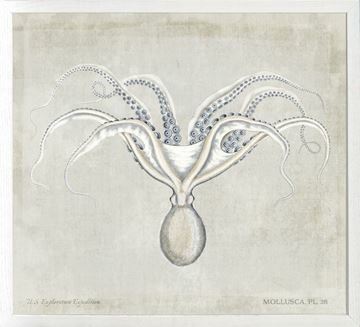 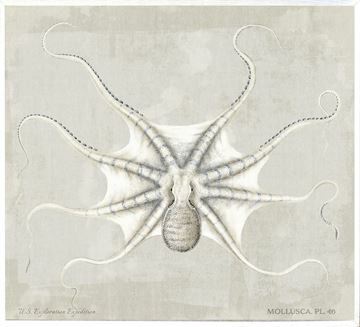 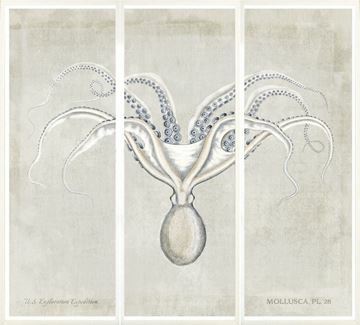 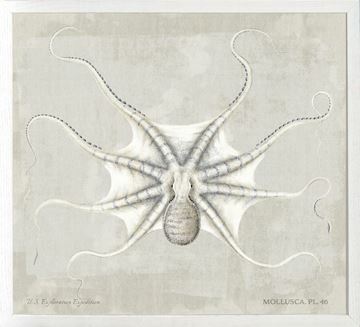 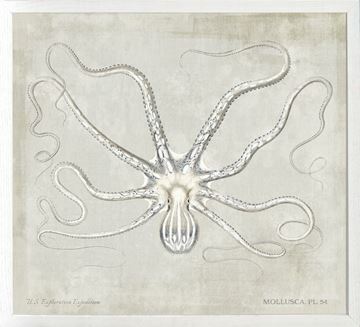 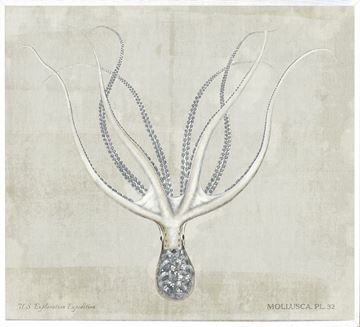 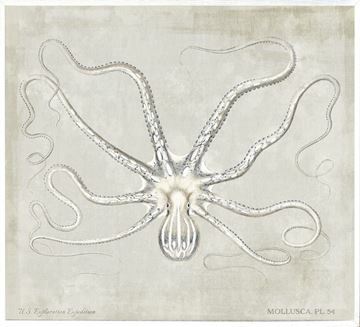 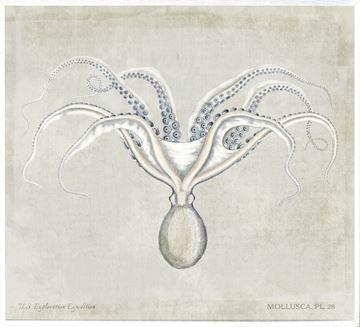 A vintage etching plate of a scientific illustration of an octopus on a sun-bleached linen background. Framed in a natural white-washed wooden frame.